VinFast, a brand new Vietnamese car company is developing its own range of world-class vehicles to be produced at an all-new state-of-the-art manufacturing facility in northern Vietnam. 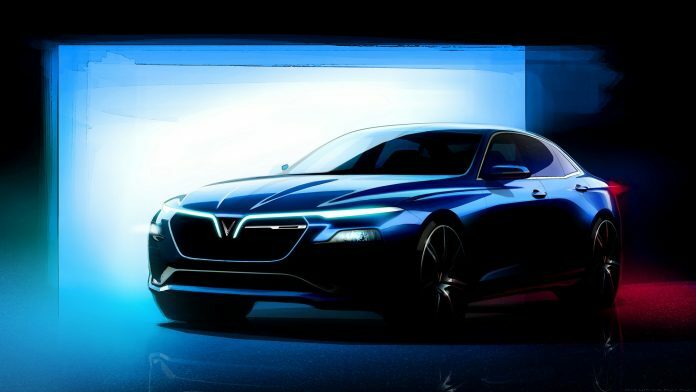 Spearheading the company’s launch, a SUV and a sedan , both developed by Pininfarina, will be given their public debut at the Paris Motor Show in October 2018. With Vietnamese spirit, Italian design and German technology, the two models have been developed to international standards after the Vietnamese people voted on their favourite design from a range of options presented in October 2017. VinFast’s participation at the 2018 Paris Motor Show will significantly raise the profile of the brand and these two models ahead of the start of sales in Vietnam in September 2019. In addition to the cars being presented in Paris, VinFast is rapidly developing other vehicles and the company is planning to export to foreign markets in the coming years. VinFast is working with world-leading European design, engineering and production technology partners to create products that meet international standards and customer expectations in terms of design, quality, dynamics, premium in-car features and the ownership experience. VinFast is at an advanced stage of constructing a purpose-built, state-of-the-art 335-hectare plant in Hai Phong, northern Vietnam. It is one of Vietnam’s biggest industrial projects ever, with ground-breaking starting in September 2017. The ultra-modern facility will employ world-class production equipment and processes to ensure its output meets the most exacting international standards. VinFast is a subsidiary of Vingroup, one of Vietnam’s largest privately-held businesses, with annual revenues in 2017 of 3.8 billion USD.